The United Arab Emirates is an Arabian Peninsula nation settled mainly along the Persian (Arabian) Gulf. The country is a federation of 7 emirates. Abu Dhabi, the island capital, is home to Sheikh Zayed Grand Mosque, with crystal chandeliers and room for 40,000 worshipers. The country’s most populated city is Dubai, which has emerged as a business gateway and global city that is a thriving metropolis and popular tourist destination. Dubai houses the Middle East’s first indoor ski slope, many of the world’s most famous hotels, and several five-star restaurants. 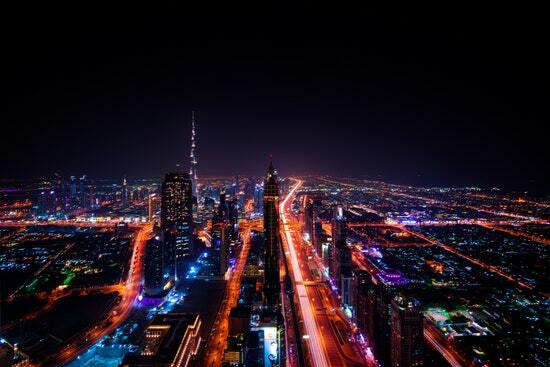 UAE is one of the richest countries in the world, it scores seven highest GDP per capita. Country’s wealthy economy lies in its oil and natural gas reserves that are among biggest in the world. Needless to say, UAE and especially Dubai attracts many business people from all over the world. They all see the rising potential of this amazing country and they want to pursue investment opportunities. UAE offers the investor visa that gives the investor temporary residence in the country. Temporary residence lasts for a maximum period of three years and allows the investor to start their own business or to invest into an existing one. This visa allows you to work and live in the country. One big benefit of this visa is that it doesn’t require an applicant to have a job offer from the UAE company. In order to qualify, foreign national must deposit either 10 000 AED ($ 2722 USD) or 20 000 AED ($ 5444 USD) with the UAE government. Candidate must also prove that he/she has sufficient funds to make a significant investment into a UAE company or to create a business in the UAE. The UAE immigration authorities must approve the prospective investment in order for the visa to be approved. Once the visa is approved, you can immediately move to the country. One of the biggest benefits of relocating to UAE is certainly taxes. There are no taxes in UAE. This means no personal income tax, no corporation tax, no capital gains or property tax. On the other hand, one important thing to note is that investor visa (just like most other visas) and residency will not lead to UAE citizenship. Obtaining UAE citizenship is extremely hard and unlikely even if you lived in the country for many years. UAE citizenship is generally only available if the foreign national marries a UAE citizen or if the national’s father had UAE citizenship. Besides investing in a business, a foreign investor has an option to buy property in UAE and get visa and residency. To obtain a UAE investor residency visa through this route, the investor must purchase property totaling at least 1 million AED (approximately $270 000 USD). The investor must also prove that their income is at least 10 000 AED per month. Through this option, the investor is not permitted to work in the country, and the visa lasts a total of 3 years. The UAE investor program will allow the candidate (on approval of his residency visa) to act as a sponsor for his family members to apply for a residency visa. It is only possible to sponsor your family for the purpose of a residency visa where you earn a minimum of 4000 AED per month. The investor will also need to provide a lease agreement for the place where his/her family will be staying in UAE (in case they didn’t purchase property in the country). Everything taken into consideration, UAE is an amazing place to get residence. You will get to live in a developed country with multiple opportunities. UAE offers breathtaking cities, good education, and world-class healthcare. Among other advantages, most of our clients choose UAE because of no tax regime which helps them massively in the long run.